Madeleine Peyroux is a singer who has many fans here in Cincinnati. Her voice has been described as reminiscent of jazz vocalist Billie Holiday. She recently released her album "Anthem" which was produced and co-written by Larry Klein who also worked with Joni Mitchell and Herbie Hancock. In support of this new release, she'll be playing at Ludlow Garage on Saturday, September 29th. Elaine Diehl spoke with her at her Brooklyn home while taking a break on August 9th. They discussed the new album, personal connection to her audiences, the writing process with a group, band members, guitars, and Billie Holiday. "Madeleine Peyroux’s extraordinary journey is one of music industry’s most compelling. Eight albums and 22 years since her debut Dreamland, Peyroux continues to challenge the confines of jazz, venturing into the fertile fields of contemporary music with unfading curiosity. 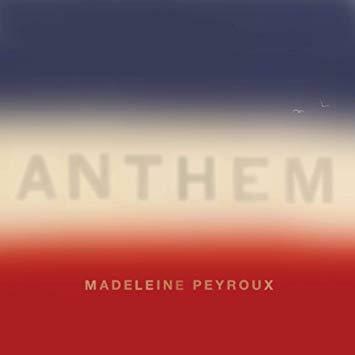 Peyroux’s new album, Anthem, finds the singer-songwriter collaborating with writers/musicians Patrick Warren (Bonnie Raitt, JD Souther, Bob Dylan, Bruce Springsteen, Lana Del Rey, The Red Hot Chilli Peppers), Brian MacLeod (Sara Bareilles, Leonard Cohen, Tina Turner, Ziggy Marley) and David Baerwald (Joni Mitchell, David and David, Sheryl Crow), who are also the basic rhythm section players on the album. Together, they cast a sober, poetic, and at times philosophical eye on the current state of the world." Billie Holiday special on The Blues! In honor of the 100th anniversary of Billie Holiday's birthday (4/7/15), I've put together a one-hour special celebrating her work that'll air on Saturday, April 11th at 11pm. You'll hear from jazz vocalist Amy London, former WNOP disc jockey Robyn Carey-Allgeyer, and musician Ron Esposito who interviews John Szwed about his new book on Billie. There are plenty of songs by Billie Holiday as well as tunes performed by four vocalists who recorded tribute albums of her work...Tony Bennett, Carmen McRae, Rosemary Clooney, and Cassandra Wilson.